Successful covered call writing requires the appropriate use of exit strategies to mitigate losses and enhance gains. In today’s article, we will focus on actions that can be taken when a stock price declines and capital preservation becomes a concern. Once we enter our covered call position we are in two distinct trades. We are long the stock and short the option. Without the stock, we would be in a naked options position and susceptible to extreme capital risk. As a matter of fact, most brokerages will not allow retail investors naked options trading privileges for our protection and for their own as well (we do live in a litigious society). This means that we must close our short options position first or close both simultaneously. The latter is now possible with the new advanced trading platforms offered by many online discount brokerages. In this article we will discuss two ways to manage our covered call trades with a declining underlying security. 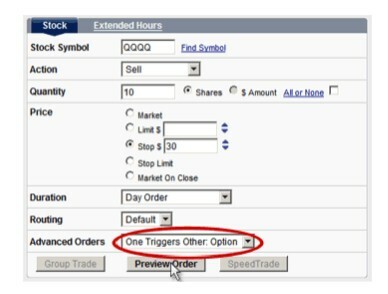 Placing stop loss orders on our covered call writing positions can be accomplished using the OTO or one triggers other order or by closing the short options position first and then taking the best appropriate action. The latter will afford more opportunities to raise your profit level if time permits. The charge is $15 for pre registration and $17 at the door. Alan will be one of two speakers at this event. For the week, the S&P 500 declined by 1.8% (on light volume) for a year-to-date return of 16%, including dividends. This week’s Weekly Stock Screen And Watch List has been uploaded to The Blue Collar Investor premium member site and is available for download in the “Reports” section. 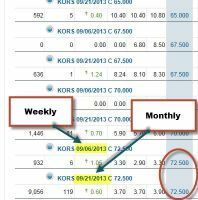 Look for the report dated 08-30-13. I remember you mentioned that in the money are seldom being called out, even so, it is after expiration day, why so? My thinking is if after expiration, then it can no longer being exercised. Also at what exact hours and minutes of the expiration it can be exercised? ITM strikes will rarely be exercised prior to 4PM EST on expiration Friday because the option holder will be forfeiting time value of the premium. 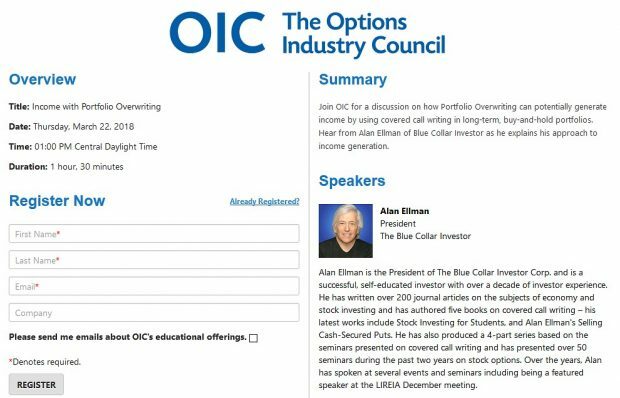 On the next day (Saturday, when options technically expire), the Options Clearing Corporation (OCC) will exercise all options that are ITM by $0.01 or more. I’ve been following KORS for the last few months since I saw it on the bci stock list. I noticed two strikes listed for each strike price in my brokerage account. Please explain. I purchase LRN and sold a covered call for $30. As luck would have it, LRN gapped up and keeps climbing. If I BUY TO CLOSE, do I repurchase the option at the original price I was paid for the option, or, do I now pay the current price for the $30 call? A nice problem, indeed. I’m happy to respond. The short answer is you buy-to-close @ the current price. 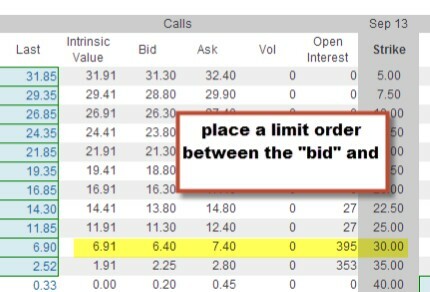 You will note from the screenshot below that there is a wide bid-ask spread so it would make sense to close IF we can execute at a very low time value component. For example, if we can “negotiate” an ask price of $7, there will be only $0.09 of time value and $6.91 of intrinsic value. That’s 0.3% based on a cost basis of $30 (what your shares are worth at this point in time). If the cash generated from the sale @ 36.91 (sell stock after the short option obligation is cancelled) can generate a higher return than 0.3% in the next 12 trading days, it would make sense to close. Otherwise your initial return has been maxed out and has huge downside protection. I know time value erodes and your whole CC position approaches zero if OTM near expiration Friday. How long is the 10% guideline in play before expiration Friday? At that point if not too far below stike i rather just let it expire worthless because I know I won’t get a better deal and I rather keep the whole premium. 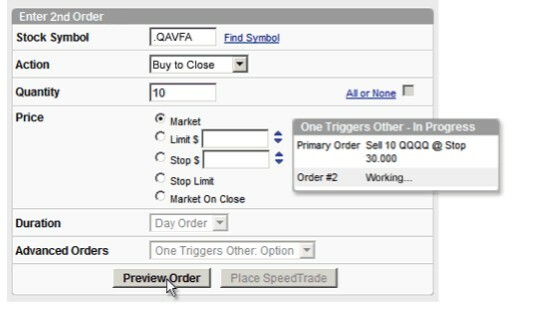 So if I am I am setting up a limit order when should I cancel the 10%? End of 3rd week? A few days into final week? In the BCI methodology the 10% guideline is most appropriate in the third week of a 4-week contract (8 of these per year) or the fourth week of a 5-week contract (4 of these per year).